Fourth-graders at Lamar Elementary School in Baytown browse through 650 books from all genres at a free book fair held Friday, March 10, 2017, inside the Lee College Mobile Go Center. Hosted by the Lee College chapter of the Walter Prescott Webb Historical Society, the fair gave every fourth-grade student at Lamar the opportunity to select four books to take home in the hopes they would become lifelong readers. 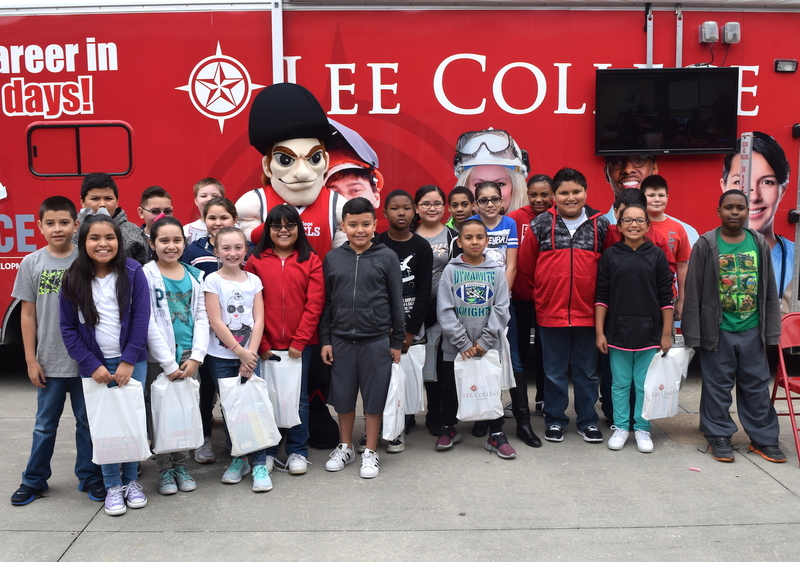 Students in Ms. Valerio’s fourth-grade class at Lamar Elementary School in Baytown gather outside the Lee College Mobile Go Center on Friday, March 10, 2017, after selecting books to take home from a free fair hosted by the college’s chapter of the Walter Prescott Webb Historical Society. 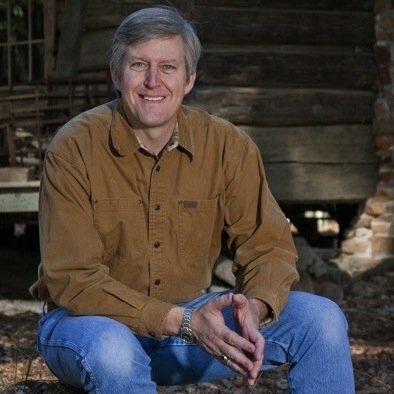 Every fourth-grader at Lamar had the opportunity to get four free books in exchange for drawing pictures of things they learned about Texas history and what Texas represents to them. 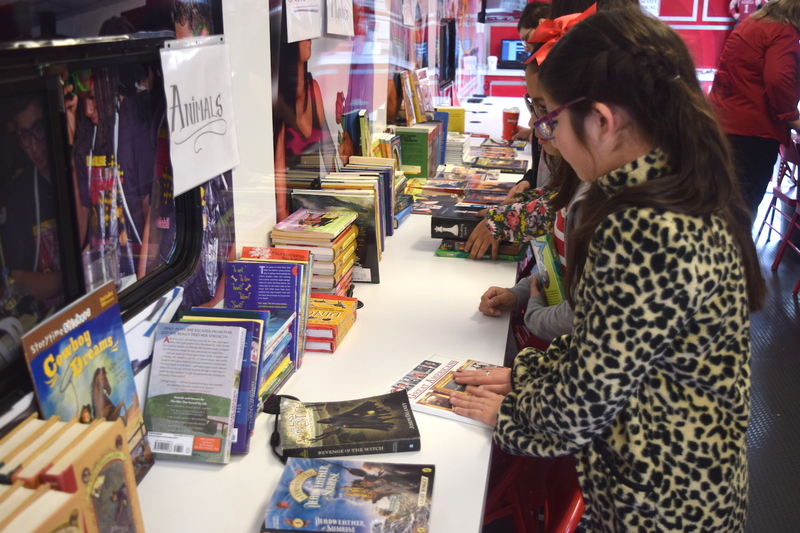 BAYTOWN, TX — Fourth-graders at Lamar Elementary School in Baytown climbed aboard the Lee College Mobile Go Center this month and found a treasure trove of nearly 650 books, all arranged by genre and ready to take home for free in an effort to set them on the path to lifelong readership. The book fair was sponsored by the Lee College chapter of the Walter Prescott Webb Historical Society, which works through the Texas State Historical Association and college and university history departments to encourage students to discover, research, write and publish the history of Texas as they find it where they live. As payment for the four books they were allowed to take, students in each of the six fourth-grade classes at Lamar drew scenes depicting things they have learned this year about Texas history and what Texas represents to them. “Their artwork was awesome,” said Dr. Portia Hopkins, a full-time faculty member who also serves as chairwoman of the Social and Behavioral Sciences Division and adviser to the Webb Society. 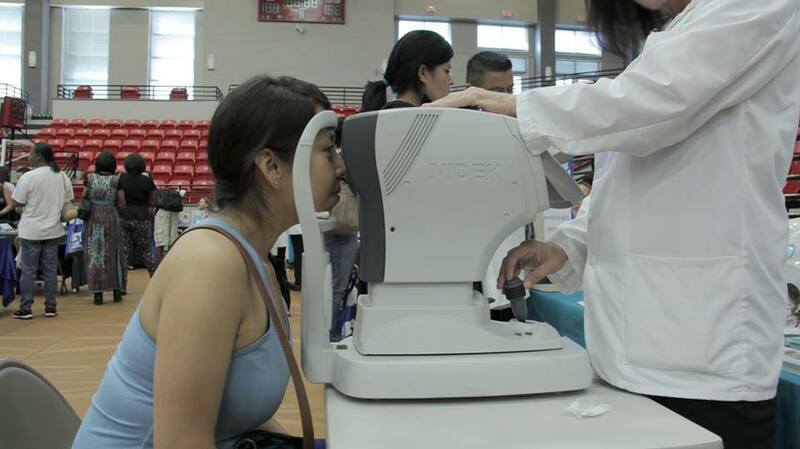 She developed the idea for the fair and secured a grant from the Elkins Foundation to help Webb members purchase some of the books given away. Additional books were donated by community organizations. Students high-fived Rooty the Rebel and spoke with local historian and retired Lee College instructor John Britt before entering the Mobile Go Center for their turn to browse. Their eyes lit up when they saw the desks inside covered with everything from biographies and history books to classics, comics, fantasies, humor, science fiction, books about sports and animals, and well-known series by popular authors. Webb members and Lee College faculty and Student Ambassadors were available to help the fourth-graders comb the stacks to find their favorites. After making their final selections, students were given pencils and bookmarks featuring Texas history facts. Hopkins said the Webb Society hopes to expand the fair next year to include more elementary schools and even more books. “Children need to read early and often so they will continue reading throughout their lifetime,” she said.